The inaugural USA Pro Cycling Challenge is ending this Sunday, August 28th, 2011 right here in Denver. The finish line will be in Denver’s Civic Center Park with a free party awaiting the riders. This 500 mile, seven day race was set along an incredible route of Colorado’s most scenic views. Starting in Colorado Springs, the athletes rode through Salida, Crested Butte, Gunnison, Aspen, Vail, Avon, Steamboat Springs, Breckenridge, Golden and finally Denver. This is sure to be one of the most anticipated international competitions. Sixteen international teams and 128 riders came for the inaugural year. The steep mountain climbs at 12,000 feet makes this one of the hardest competitions in the world. 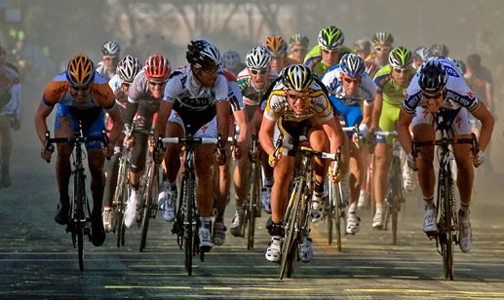 The riders are expected to cross the finish line around 1:30 on Sunday. The free festivities include concerts and bike demos, the event goes from 10:00 am – 4:00 pm.